Origins store newly opened at ION Orchard! 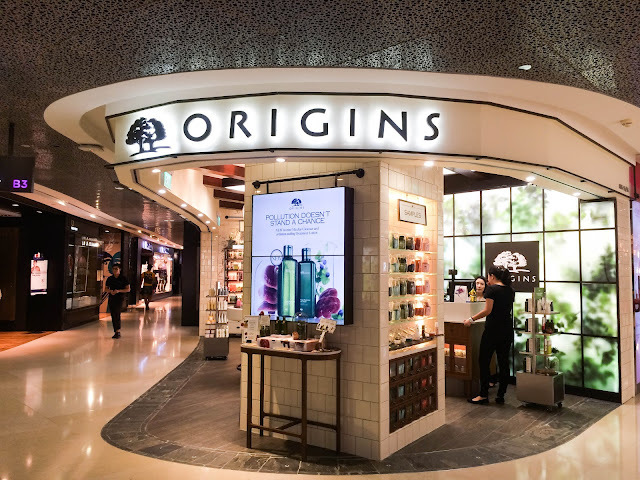 Have you already came across the newly opened Origins store at ION Orchard? I was very excited to be treated to a mini Origins facial and you can enjoy it complimentary too! 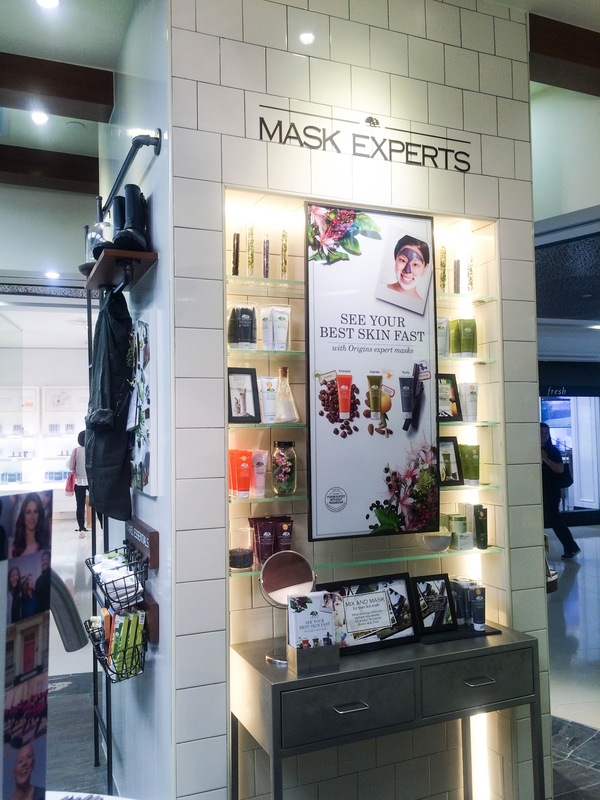 Read on as I bring you through the layout of this new Origins store and how you can enjoy this quick relaxing facial at Origins ION Orchard! The new Origins Singapore store is designed with a Green house interior structure to show that most of their products are made with organic ingredients and plantations. 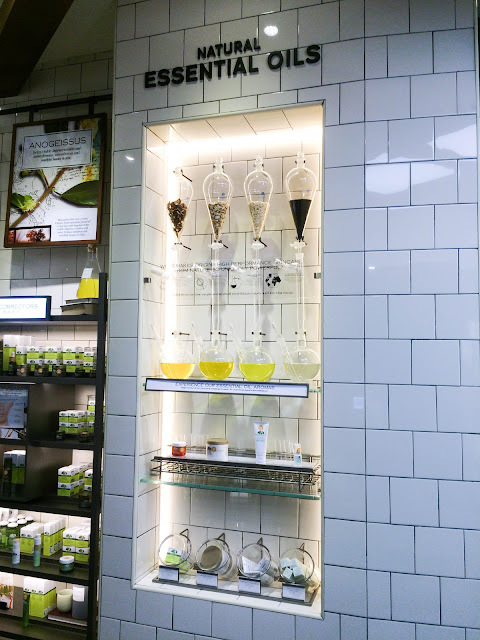 A world map is also imprinted on the wall to tell consumers that Origins actually source ingredients from all over the world. If you are animal lovers, you'll be glad to know that all Origins products are also animal-cruelty free and environmental friendly, as their packaging are recyclable. 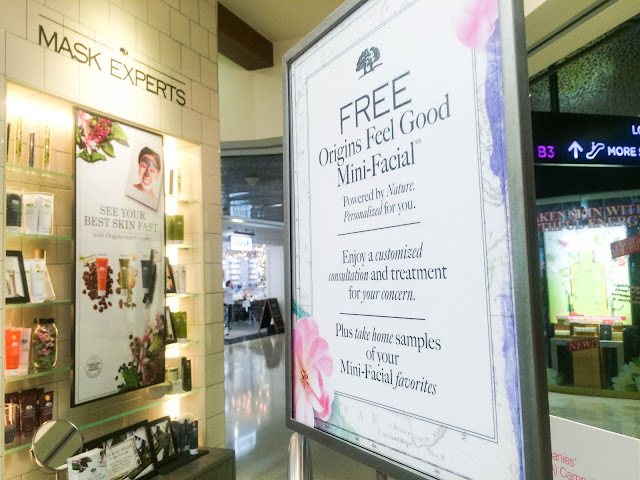 Origins came up with their latest initiative - Origins Pollution Regimen. 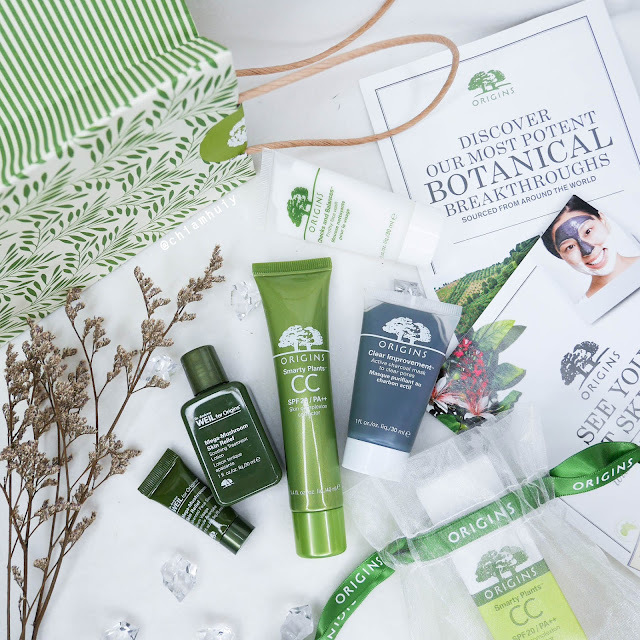 This is in line with Origins’ philosophy to help protect the environment, create products that help rebuild skin’s ability to live in today’s world and help solve the pollution problem through the brand’s Plant-A-Tree program. I love Origins because the products are really gentle on the skin. Besides not containing all the harmful chemical ingredients, all the products are created using organic essential oils and natural ingredients. I can easily fall in love with all these natural products! 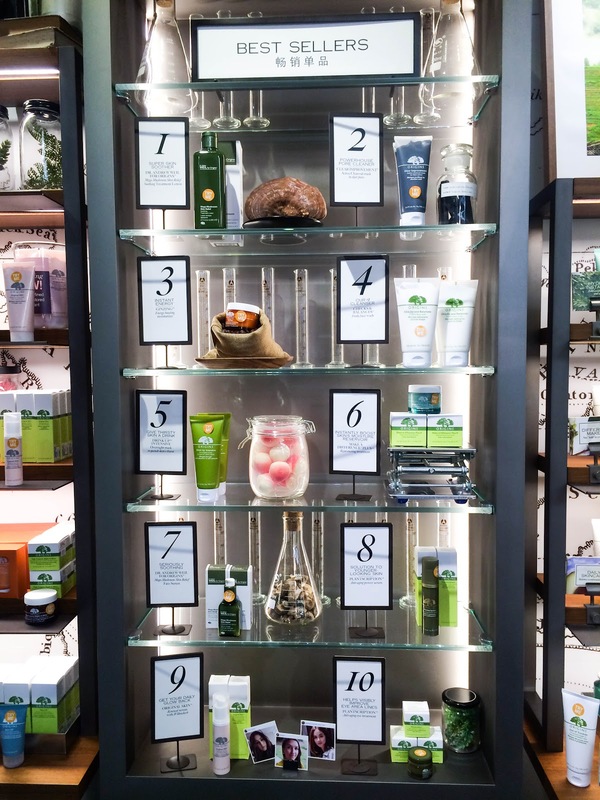 There are a few ranges created by Origins to tackle different skin types and problems. For example, the White tea range helps to maintain skin condition and act as prevention from aging issues. Planscription range is mostly meant to treat aging skin issues while the Make a difference range helps all skin types to rehydrate and repair. Of course, how can we forget the Dr. Andrew Weil for Origins™? This range is slightly more premium due to the premium ingredient (mega-mushroom) used in all its products. 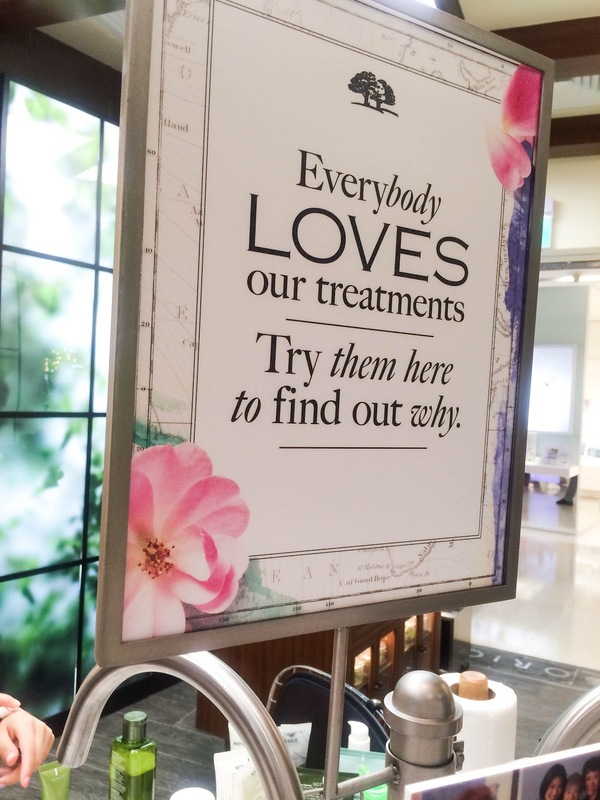 So I was saying, I had my mini facial at Origins ION Orchard. We started off by having a short consultation with my therapist. 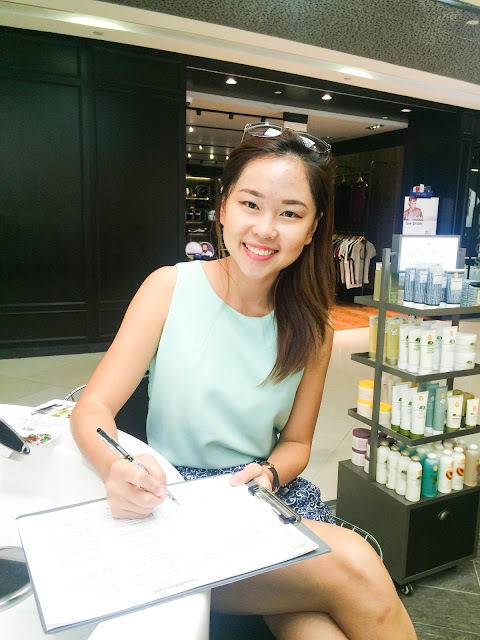 She asked a few questions to understand my skin problems and the skincare routine I usually take day and night. 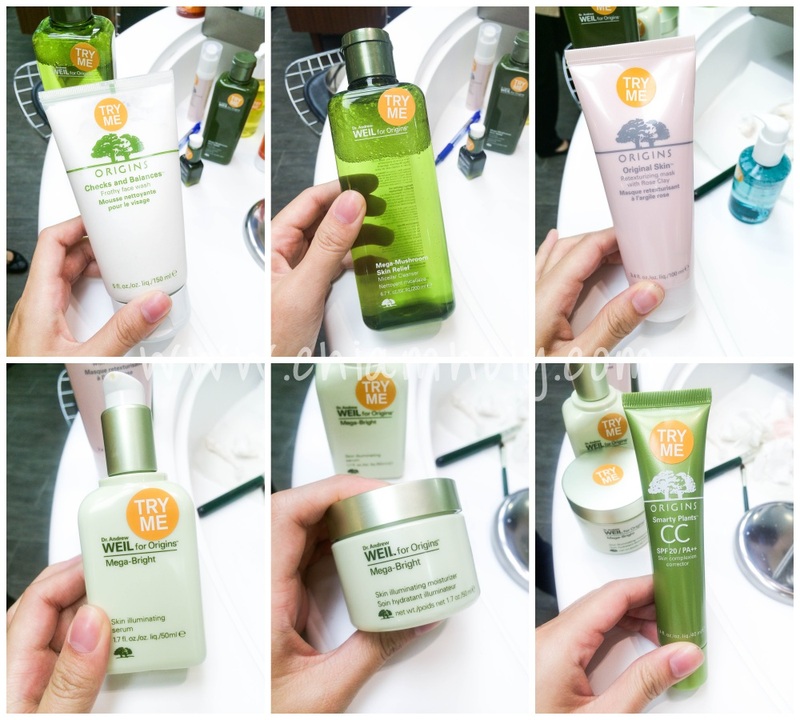 She handpicked the following products as she believed that these products suit my skin the best, so I get to try them out during the facial before purchasing. Origins Retexturizing mask with Rose Clay is the latest addition to Origins' wide range of masks. It is formulated with Mediterranean Rose Clay and Canadian Willow Herb to restore skin clarity and perform deep cleansing action. It also contains Jojoba beads to exfoliate your skin. I was running out of time so I did not apply the whole face. You instead will get to experience this completely and everything is complimentary! Origins @ ION Orchard 2 Orchard Turn, ION Orchard B3-55/56 Singapore 238801 Tel: +65 6238 6126 Origins is also available online on Luxola.